Quality programs in the field of Medicine and Dentistry are currently offered in English for international students at Safarik University of Dentistry in Kosice, Slovakia. 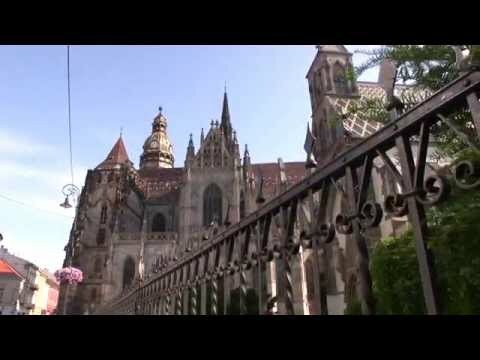 Kosice was named Cultural Capital of Europe in 2013. The medical degrees awarded in Pavol Jozef Safarik University of Dentistry in Kosice, Slovakia are recognized by the World Health Organization (WHO), and all our degrees are automatically accepted in the EU. The study is awarded the degree of “Doctor of Dental Medicine” (MDDr. ), and the credit system is compatible with the European Credit Transfer System (ECTS). 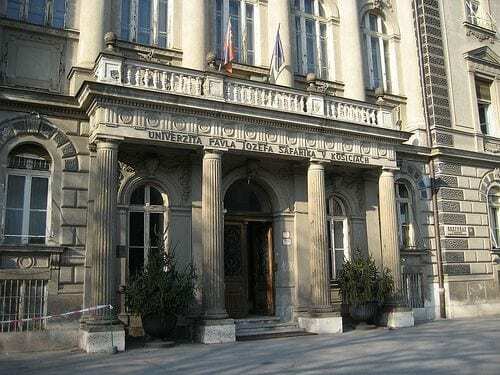 The duration of study for dentistry at the Pavol Jozef Safarik University of Dentistry in Kosice, Slovakia is 6 years and tuition is 11,000 euros per year and paid in two installments. The applicants must successfully pass their admittance multiple choice tests in Chemistry and Biology, for which we fully prepare students. The Faculty of Medicine and Dentistry at Pavol Jozef Šafárik University in Košice teaching of medical and dentistry students began in September 1948, and since then it has educated over 12 thousand of them for their prospective profession. Since 1992, it enables international students to complete their medical studies in the English language – young people from about fifty countries of the world avail themselves of this opportunity at present. The diplomas awarded to the UPJS MF´s graduates are recognized in all countries of the European Union and in most of the federal states of USA. The history of the Faculty is closely linked with the development of human medicine in eastern Slovakia after World War II. The emergence of the Faculty of Medicine and Dentistry in Košice as a branch of the Slovak University in Bratislava in the year 1948 was a response to the then shortage of medical doctors in the region of Eastern Slovakia. Establishment of the Faculty of Medicine and Dentistry not only meant the beginnings of modern medical education in this area of Slovakia but also the development of higher education in the region. The Faculty of Medicine and Dentistry consists of approximately 70 units – institutes, departments, scientific research and experimental workplaces, and special-purpose facilities. Its modern high-rise building is located in close proximity to the L. Pasteur University Hospital, where students take the bulk of their practical training. Its teaching base represents several medical institutions that allow students a direct contact with patients and employment of modern treatment methods, so teaching represents a unique link theory with practice. UPJS MF defended its position in a complex accreditation in the highest category „A“ (by obtaining a score of 3.95 out of max. 4.0). The Faculty of Medicine and Dentistry at Pavol Jozef Šafárik University in Košice is an agile institution that enjoys its unique position in the development of medical science and in education of physicians in the field of human medicine not only for covering the societal demand of Slovakia, but also in many other countries of the world – Europe, Asia, Africa, America, and Australia. It is very successful in fulfilling its basic social mission – educating high-quality physicians and implementing top-quality medical research. Quality teaching at this Faculty provides a very good basis for the employment of its graduates in the labour market. The Faculty of Medicine and Dentistry at Pavol Jozef Šafárik University in Košice is an agile institution that enjoys its unique position in the development of medical science and in education of physicians in the field of human medicine not only for covering the societal demand of Slovakia, but also in many other countries of the world – Europe, Asia, Africa, America, and Australia. It is very successful in fulfilling its basic social mission – educating high-quality physicians and implementing top-quality medical research. Quality teaching at this Faculty provides a very good basis for the employment of its graduates in the labour market.